When I consider reading a novel, it is never with the intent of reading it in letter form. While this may attract some attention if dispersed within the framework of telling a story, I found the format of this novel tedious. While reading an occasional letter from one party to another is very interesting and enhances the work of fiction, it was very hard to be interested and to engage with this work because it is just a compilation of letters. Eugene is an Amish young man who had taught in the Amish community in Indiana for a year. At the beginning of the book, Eugene and Naomi are promised to each other before he decides to accept a position to teach for nine months in Iowa at a Mennonite school. Throughout this these letters based on the authors’ real life, there is a smattering of German words, which adds a flavor to the fictional characters writing the letters. Naomi continues to work while Eugene gets settled at his job in another state as a school teacher. What makes this a monotonous and uninteresting book is that the letters include many of the exacting details of their everyday lives. The letters are dated and of various lengths, but include multiple days of routine of their daily lives. In addition to this, the letters allow no time to pass before another one is written that includes everything that happens throughout the day. While it is attractive to know that it is based on the love that was building between the authors, nevertheless writing without any unusual or imaginative events makes the book unappealing. Therefore, while some may enjoy Amish stories, this one unfortunately I find isn’t a gem. The reasons for this are it lacks in flowing within the framework of telling a story. There is no plot, suspense, imagination, and nothing to capture the attention of the reader. 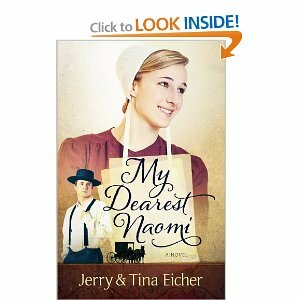 My rating for My Dearest Naomi out of 5 stars possible is 2 stars at most.